Walking holiday Albi-Tarn Valley-Millau Viaduct Aveyron | La Ligne Verte. 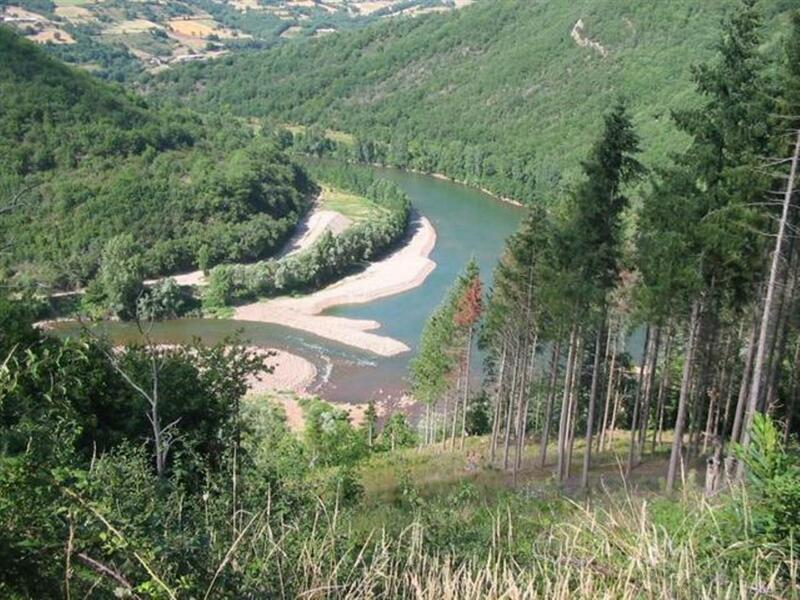 More pictures, description and general tourist information about Tarn Valley. Between Albi, the pink city - with its beautiful old brick-built centre, the Toulouse-Lautrec museum and its Cathedral - and Millau, in the center of Parc des Grands Causses, you will be walking alongside the Tarn river in a steep sided valley. Down in the valley between two hilly plateaux which rise up to 700m height, you'll get the feeling of being up in the mountains. The river flows swiftly to the West through the valley, also called "La Vall? de l'Amiti? ", a very friendly place to stay and hike. There are some very old castles like Brousse-le-Chateau, Coupiac, St. Izaire and picturesque villages like Ambialet, St. Rome-de-Tarn, Montjaux and Le Minier. For centuries life and local trade has centered around these places. From Millau, a pleasant small Mediterranean alike city, also the gateway to the better known canyons of the Gorges du Tarn and a centre for activity holidays, you'll start the Tarn Valley walk under the viaduct from where you will be heading further downstream. From the second half of June the chirring sound of cicades will go all along with you as if in Provence. The old medieval villages and towns of the Gorges des Raspes du Tarn on your way will add to your feeling connected with ancient times. Accommodation: budget, standard, plus, superior or luxury packages. If you want the charms of France and avoid touristy bustle this region will assure you'll get it; it has been designated a National Park and its riches are protected. 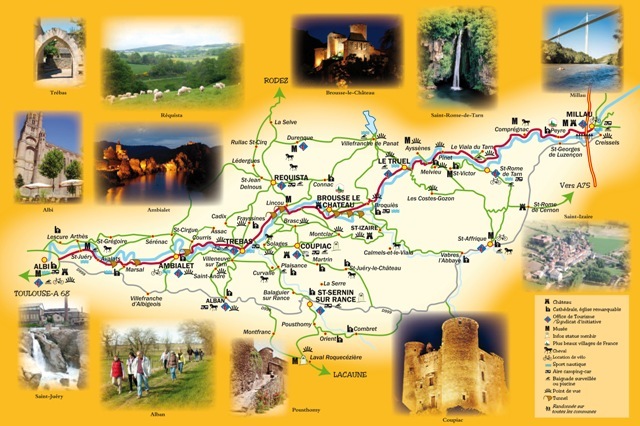 La Ligne Verte is an owner operated, local touroperator for walking holidays. We're based in Parc Naturel R?ional des Grands Causses. All year we are on the spot here in Midi-Pyr? ?s region to ensure outstanding service for your inn to inn holiday tours in sunny South of France.